A damning report, released this week by Opportunity Nation, says that 6 million young people – or 15 percent of American youth — are neither in school nor working. This shocking statistic has particular importance for Washington, D.C. This coming fiscal year, which began on October 1, will be a dismal day for many of the District’s students: the new budget is going to have a devastating impact on a critical organization serving D.C.’s troubled youth. One of the primary organizations working on alternative ways of dealing with juvenile delinquency in Washington — Youth Court — was forced to close their doors due to a crippling reduction in funding by the D.C. government. Not only was this decision strategically ill-conceived, as it invariably invites more youth to pursue a path of violence, it is morally unjustifiable. Our youth deserve better. The new changes by the D.C. government will mean that, beginning this month, arrested children, ages 12-18, will be more likely to face criminal prosecution (instead of the more efficacious and constructive alternative dispute resolution and reintegration programs that kept many kids back in school, off the streets and out of the criminal justice system). Say goodbye to restorative justice programming for D.C.’s youth. Over 25 percent of all juvenile arrests in D.C. are referred to Youth Court annually, which, up until recently, provided diversion programming to over 6,800 juveniles in the District. This is no small blow. This will impact thousands of D.C.’s youth. According to the D.C. Metropolitan Police Department, over 3,000 juveniles were arrested in the District in 2012. 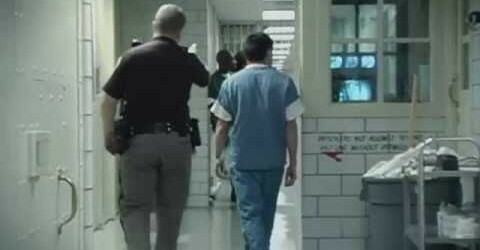 More than 1,000 of those children, moreover, were first-time juvenile offenders arrested for low-level misdemeanors such as simple assault for fighting in school, shoplifting, and destruction of property. Given the continual growth, there continues to be a great need for diversion programs. Keep in mind, these are not hardened criminals we’re talking about, which is why they were diverted from the court system to Youth Court in the first place. However, a failure to properly rehabilitate and reintegrate these youth, leaves them prone to repeat the offense and eventually become that hardened criminal. Will the District of Columbia be able to provide an alternative for juvenile offenses that are better suited to reducing recidivism than prosecution in the court system? It’s unclear, since Youth Court provided casework resources and an outlet for offenders to be “tried” in front of a panel of their peers and was one of only two diversion programs in the city, receiving offenders arrested for victimless crimes (stealing, vandalism, etc.). Most importantly, they required participants to take accountability for their actions, admit responsibility, and learn from their mistakes without being scarred with a criminal record. The sanctions in Youth Court were binding. Those who failed to follow through with their commitments — a figure less than 7 percent — were referred to the criminal justice system. Beyond the skills-building that comes from these sessions, these programs give children an opportunity to face their peers and hear from the victims of their actions. Being forced to listen to children of similar age disapprove of their bad behavior is eye-opening and transformative. Hearing those messages — from their peers — makes many participants feel regretful of their actions and inclined to make better decisions in the future. It also gives them a voice and a choice, which is ultimately more empowering than the traditional system. Despite its success to reforming D.C.’s youth, Youth Court received notice that they would not be granted their baseline funding through the Justice Grants Administration (JGA) for the Title II Formula Grant Program, which is administered by the District’s Office of Juvenile Justice and Delinquency Prevention. For the past five years, it received the majority of their funding through JGA, given the lack of donors and grantors who fund programs supporting criminally inclined youth. JGA has eliminated funding for Youth Court despite the overwhelming success of its programs. In D.C., less than 11 percent of participants in Youth Court diversion programs have been rearrested. Compare this with the U.S. average of juvenile recidivism rates between 20-29 percent. At a time when there is an increased need for diversion options in the District, and a surplus of tax revenue in the city, Youth Court was forced to close their doors. The loss of diversion programming will be devastating to many at-risk youth and their families, resulting in a huge step backwards for juvenile justice in the District of Columbia. If we care about keeping kids in school, off the street, and out of the criminal justice system, cutting funds for organizations with a proven track record in providing constructive alternatives is not the way to do it. It is time the District restore funds for what is actually restorative for our youth. Now, before another kid commits a crime. Michael Shank, Ph.D., is adjunct faculty at George Mason University’s School for Conflict Analysis and Resolution and a resident of Anacostia DC.